Another great weekend in the books! Friday I was off to volunteer for Crafty Wonderland to help put together the giveaway bags they make for the first 200 people. Apparently our little group of ladies were excellent bag stuffers, as we finished in just about 2 hours! They had 4 hours blocked, but we all just put our head down and rocked it. It was a lot of fun to see the goodies the various participants donated to give away. We also got a little goodie bag for our help full of some great stuff! 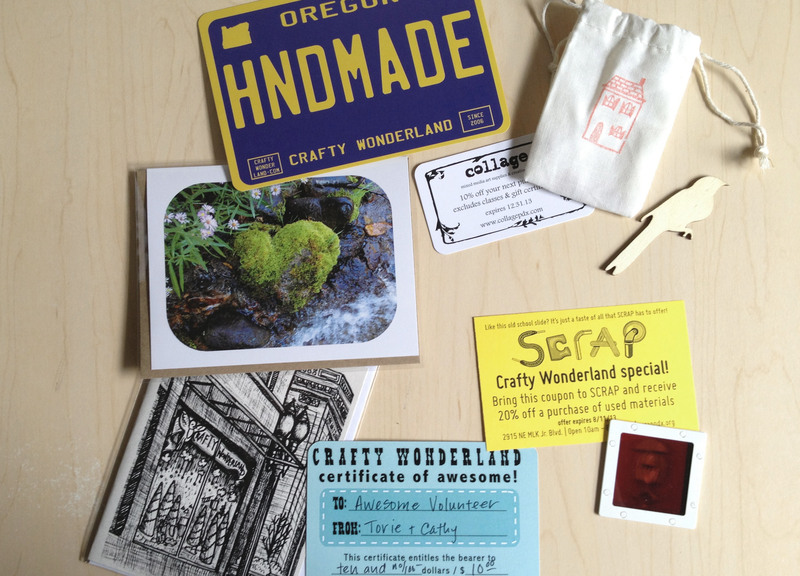 Of course on Saturday, I headed off to see all the great stuff at Crafty Wonderland. It’s so inspiring to see all the great stuff people come up with! Plus, I was doing a little recon for myself. I am planning to do some craft shows this summer, and this was a great opportunity to see how people construct their booths and show off their wares. Lots of great booths filled up my head with great thoughts and ideas. I was even able to chat with a couple ladies I have met since starting up my crafty business. I caught up with McKenna of rewrought DESIGNS, who creates beautiful jewelry out of tin cans. I was also able to meet in person Alison of House of Moss, she makes the cutest felted woodland decor items. Both ladies had great booth set ups and it was fun to hear how their show experience was going. That evening we went out with a couple friends and saw Iron Man 3 at a local, awesome theater – the Roseway. Afterwards we headed out for some super yummy Indian food at the Bollywood Theater. Great end to a great day! Sunday, of course, was Mother’s Day. We headed over to my parent’s house for a little gray day grilling. My brother and his lady were there as well. We had a great afternoon hanging out, catching up and watching hockey. We got to see the Portland Winterhawks take the WHL championship! Great, food and great day with my Mom!